1/2 cup mayonnaise I made this both with and without the mayo and both versions were good. The final verdict was in favor of the mayo. It adds a tangy element to the dressing and we liked that. Preheat the oven to 425 degrees. If you are cooking the bacon in the oven with the broccoli, now is the time to start it. You can spread it out on a large baking tray covered in foil and place it in the cold oven as you preheat it. 18-22 minutes later it should be done. Keep a close eye on the bacon towards the end of the cooking time. In a large bowl, drizzle olive oil lightly over the broccoli. Toss with your hands to coat. Spread out the broccoli in a single layer across a lightly greased or silpat lined baking sheet. Sprinkle with kosher salt. Roast in the oven for 10-12 minutes, or until barely beginning to brown on the edges. The broccoli should be a bright green with a bit of crunch remaining. 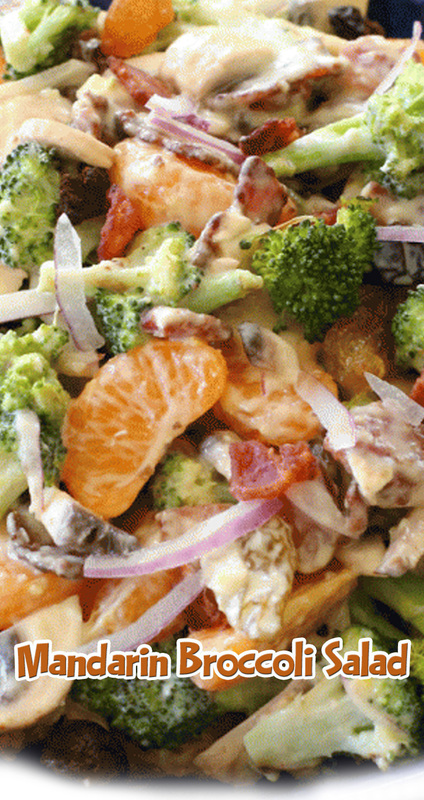 Let the broccoli cool completely before combining with the other salad ingredients. Make the dressing next, it will need to cool before tossing with the rest of the salad. In a small saucepan over medium heat, whisk eggs, honey (or sugar), arrowroot and mustard. Add the vinegar and water and whisk again. Cook until slightly thickened, stirring almost constantly. Remove from the heat and add the mayonnaise. Cool. In a large bowl, combine the cooled salad ingredients and then toss with the cooled dressing. This is delicious immediately, however it is even better after 3 or more hours rest in the refrigerator. Enjoy!